, you can preview 360-degree virtual tours of restaurants, hotels, shops in more than 30 countries around the world. And this just in: we’ve got something special for fans of The Colbert Report. The series concludes tomorrow, but you can still feel like you’re in the audience (or relive the good ol’ days) with a brand-new virtual tour of the studio. And the show has created an interactive experience with the Business View imagery that lets you explore and remember some of your favorite moments from the show. And for those who want to tour more entertainment and news studios, check out our Views gallery. Business View may also be your best new travel companion. Whether you’re traveling to see your family for the holidays or planning a romantic getaway for the new year, you probably want to make sure the ambiance of the hotel is right for the occasion. 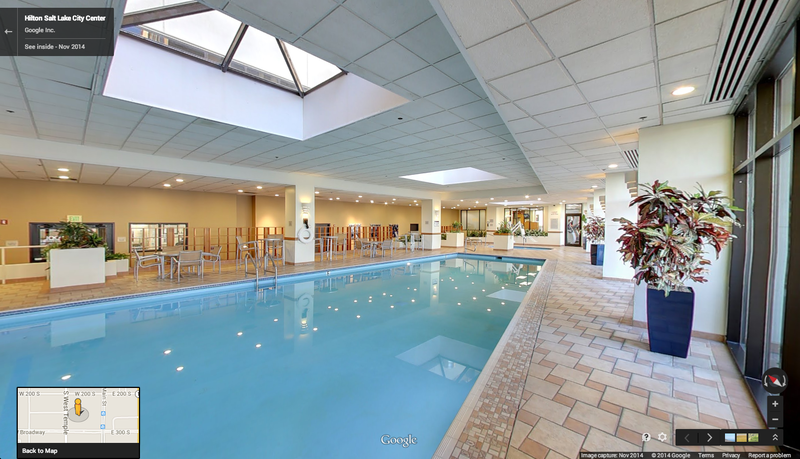 With Business View, you can see inside thousands of hotels around the world on Google, including hundreds of Best Western and Hilton hotel locations (pool included!). In addition to finding the right spot to lay your head, you can turn to Business View to find the perfect restaurant for a meal out with friends, or get a sense of whether a tourist destination is worth the trip. Check out the decor and vibe of dazzling restaurants like Riad Nejma in Paris, Alux Restaurant Bar in Playa del Carmen, and REN in Tokyo. To access Business View on your desktop, mobile or tablet, look for the “See Inside” marker on Maps, Search and Google+, which will take you into the virtual tour of your destination. You might be surprised what you find inside. Here’s a Google Maps insider tip: Street View isn’t just for streets—it goes indoors, too! 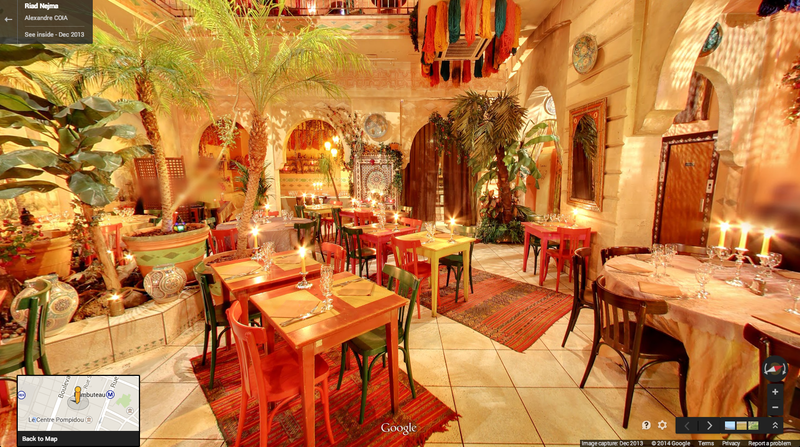 With Google Maps Business View, you can preview 360-degree virtual tours of restaurants, hotels, shops in more than 30 countries around the world. 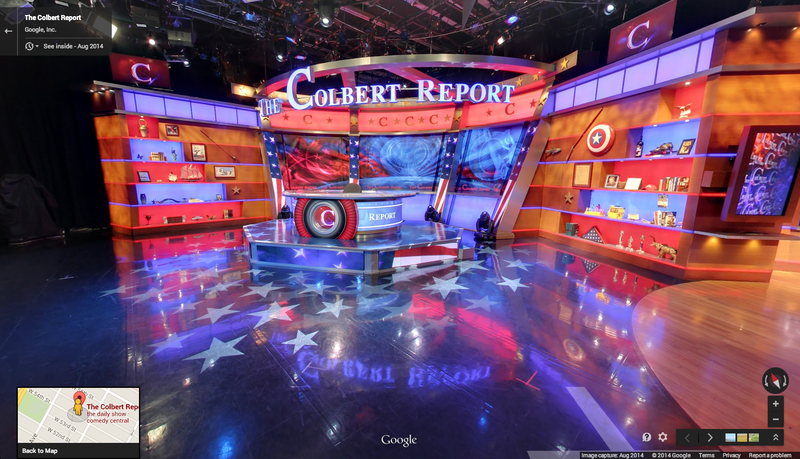 And this just in: we’ve got something special for fans of The Colbert Report.